Pavilion of Life and Beauty of the Osong Cosmetics & Beauty Expo shows the variations in the meaning of beauty, providing a space for directly reproducing makeup skills. Amid the growing popularity of hallyu (Korean wave), a local provincial government will host a massive cosmetics and beauty fair from May 3 until May 26. The organizing committee for the Cosmetics and Beauty Expo aims to attract around a million visitors, 70,000 of which it hopes will be from overseas. It is to be held in Osong, North Chungcheong Province and will also seek to induce interest from some 300 companies, domestic and foreign, and up to 2,000 buyers. The event’s overall theme, “Healthy Bio, Beautiful Life,” is the only exposition of this type acknowledged by the government, international associations and organizations. The Korea Food and Drug Administration, Cheongju City and Cheongwon County will co-host the expo to be sponsored by several government ministries. 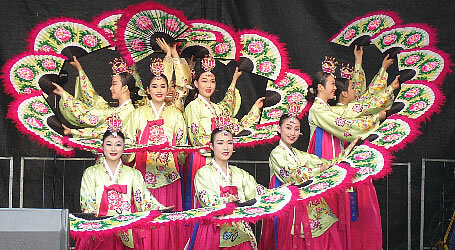 Pavilion of Hallyu Culture displays style and beauty throughout Korean history alongside the everyday lives of Koreans. 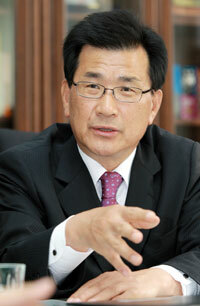 Provincial governor Lee Si-jong and former health and welfare minister Kim Hwa-joong are co-chairs of the organizing committee. Lee and other officials plan to visit China, Japan and Southeast Asian countries to engage in public relations efforts there next month, because the region accounts for more than 80 percent of all foreign tourists. The organizing committee plans to invite officials and artistic performers from 12 countries in 22 regions that have sisterhood relations with the province to jointly host cultural, artistic and sports events during the fair. “We plan to actively participate in various international trade fairs to engage in PR efforts for the Osong expo with the goal of raising the cosmetics and beauty industries as a strategic field on the occasion of the incoming event,” said Lee Woo-jong, director in charge of trade and economic affairs at the provincial government. The nation’s cosmetics, equipped with high quality, diverse products, have been leading the global trend. The cosmetics market here grew to $7.9 billion in 2011 from 4.9 billion in 2006, registering an annual growth rate of 10.4 percent on average. The nation’s cosmetic industry, composed of bio technologies such as oriental medicine and stem cells and advanced nano and information technology, has emerged as a key future growth engine for Korea, along with the beauty industry. “We aim to promote the region as a hub for K-beauty, one of main themes of hallyu in time for the expo,” said Nam Kil-woo, in charge of PR affairs for the committee. 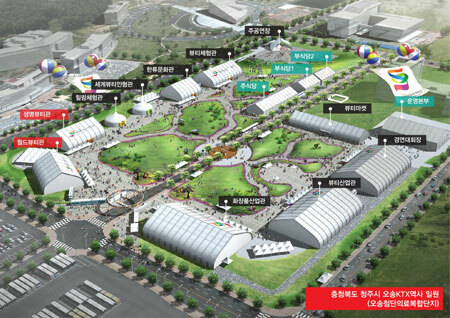 The expo might succeed in attracting more foreign visitors given the increasing popularity of hallyu. In particular, Myeongdong in central Seoul, has surfaced as a symbolic marketplace for Korean cosmetics and beauty-related products, bustling with foreign visitors throughout the year. North Chungcheong Province has emerged as a new center of bio industry accommodating some 60 leading cosmetics companies such as LG House and Health Care. Osong is also home to six national institutes – the Korea Food & Drug Administration (KFDA), the National Institute of Food and Drug Safety Evaluation (NIFDS), the Korea Health Industry Development Institute (KHIDI), the Korea Human Resource Development Institute for Health and Welfare (KOHI), the Korean National Institute of Health (HIH) and the Korea Centers for Disease Control and Prevention (DCD). Osong also has optimal transportation conditions such as the KTX Osong Station and Cheongju International Airport. 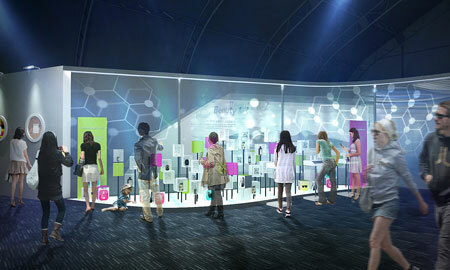 Themed exhibitions will provide information about the significance of beauty throughout history. The industrial exhibitions will provide opportunities for trade between domestic and foreign companies in high technology cosmetic and beauty products. The interpretation and reverence for different forms of beauty in many countries as well as beauty as defined in Korea will be exhibited. The “World Beauty Pavilion” displays variations in the meaning of beauty as seen throughout history and culture. It also provides space to directly reproduce the makeup techniques of beauties from the past. The “Beauty Innovation Pavilion” will display the development of cosmetic science and technology driven by the continuing desire for beauty, and shows the future and vision of the bio-cosmetics & beauty industry. The promotion of products and sales of participating cosmetic and beauty businesses will be held in the Industrial Exhibition Pavilion. These halls will display finished cosmetic products, raw materials, equipment and other related beauty commercials goods. The “Beauty Market” is a venue at which the participating cosmetic beauty businesses can promote their products. Visitors to the expo can buy new products from various enterprises at affordable prices. 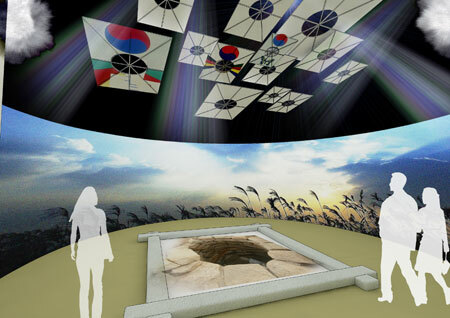 The “Korean Culture Pavilion” will display the style and beauty of tradition that has been created and maintained during 5,000 years of Korean history. It will display the everyday lives of Koreans through various episodes as a space in which to find simple but stylish beauty. The expo will feature a variety of performances, events and contests in which visitors can participate and enjoy around the clock. Top body painting groups from around the world will participate in the ‘World Body Performance,’ providing a splendid show. Besides the exhibition, a series of special events including domestic and international seminars and academic conferences such as the ISO/TC217, which be held on May 3 and May 26.